What's happening, Tucson & Phoenix? 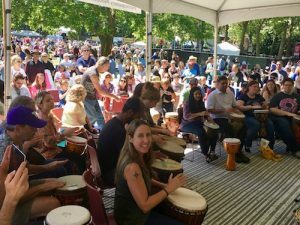 Everyone is welcome at hourly drum circles and drumming workshops at the Rhythm Tent at Seattle's famous Northwest Folklife Festival Memorial Day weekend at Seattle Center! 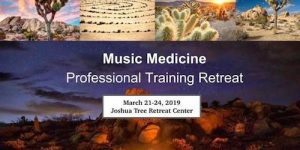 I will be on the host team, and will facilitate a couple of rhythm sessions. Visiting friends and family. Catching and making good music. 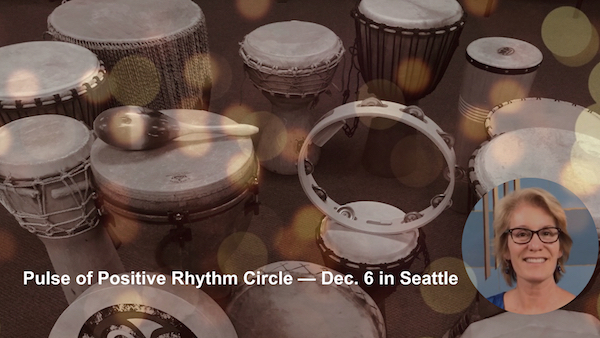 Join me in my Pulse of Positive Rhythm Circle on December 6! Looking forward to seeing my San Diego friends! My near-annual return to Anza-Borrego Desert State Park. SoCal friends, let's stir up something special! What can I help with? What kind of rhythm happening is ready to bubble up? Let's get together and play! 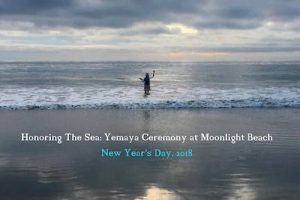 Start your year with rhythm, blessings, and intention-setting in this seaside ceremony led by Christine Stevens. We will be meeting at the fire pit. Wear white and blue. Flowers provided or bring your own offering to the ocean. Contact info@ubdrumcircles.com with questions. 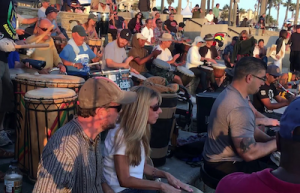 Join Kerry Shakerman and me at the Sunday afternoon drum circle at the Huntington Beach pier. This circle happens every Sunday, and Shakerman is there more often than not! Visit Arthur, Diana, and Cameron (a stop on the way). Attend Mary Knysh's workshop with Zorina! John Fitzgerald is generously hosting a Rhythm & Potluck party for Los Angeles area drum circle facilitators. Contact John or me for more details. I will be attending and hopefully presenting at the 2019 DCFG Conference in Myrtle Beach, South Carolina. This is where DCFs gather to push the edge of understanding and skill with this art, both individually and collectively. 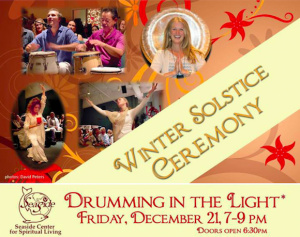 This year's theme is "Nurturing the Body, Mind, and Spirit Through Rhythm." It's a great place to meet amazing people and expand your view of what is possible with this work! 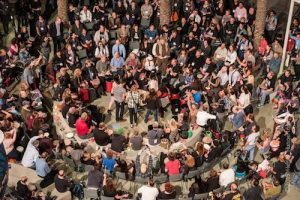 All the best of Seattle's musical Rite of Spring returns to Seattle Center in a concentrated 1-day version. In fact, I am the lead organizer this year, helping SWPS. the sponsoring organization, transition to new leadership. 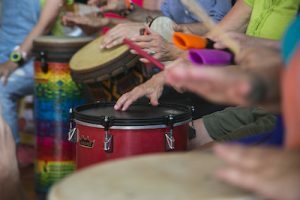 Come drum, dance, listen and learn in dozens of workshops and performances!